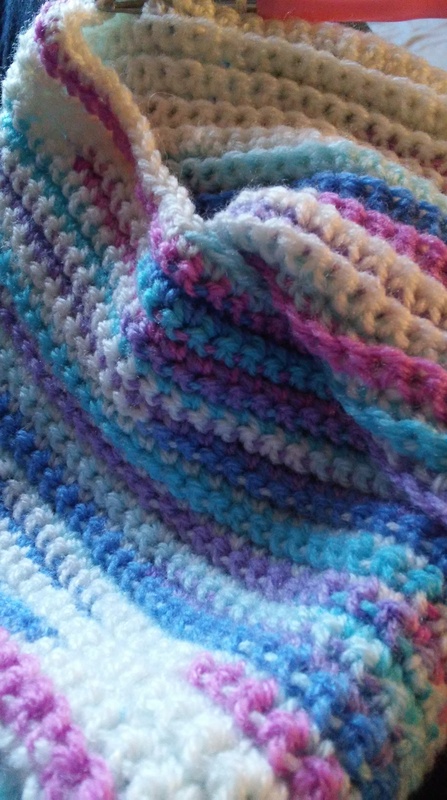 Homemade crochet gifts – want one? 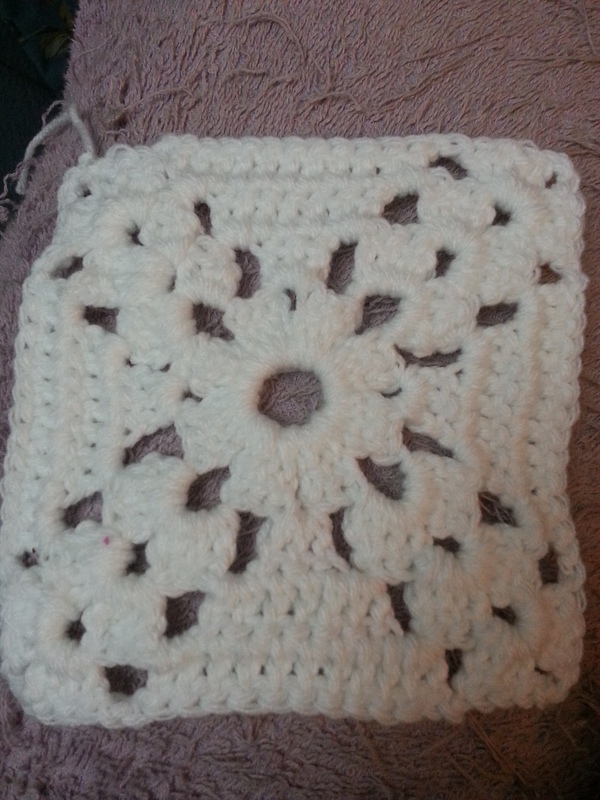 At this time of year, I love to crochet. It keeps me sitting still and not rushing, rushing, rushing. It’s also just something that I enjoy doing period. Just calms me. And trust meh, I need that at times. I thought I would make this blog post though, to advertise at this time of year (when I share it) to see if anyone would like a homemade gift to share. OR for you to purchase for yourself. This is so I can do what I like and you can get a gift! 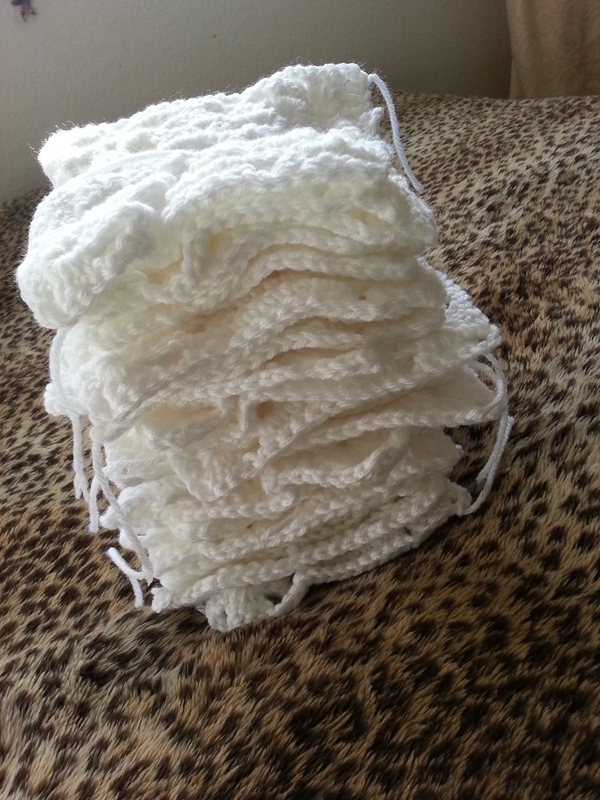 The cost for any project would be the cost of yarn & shipping + $10-$20 labor. 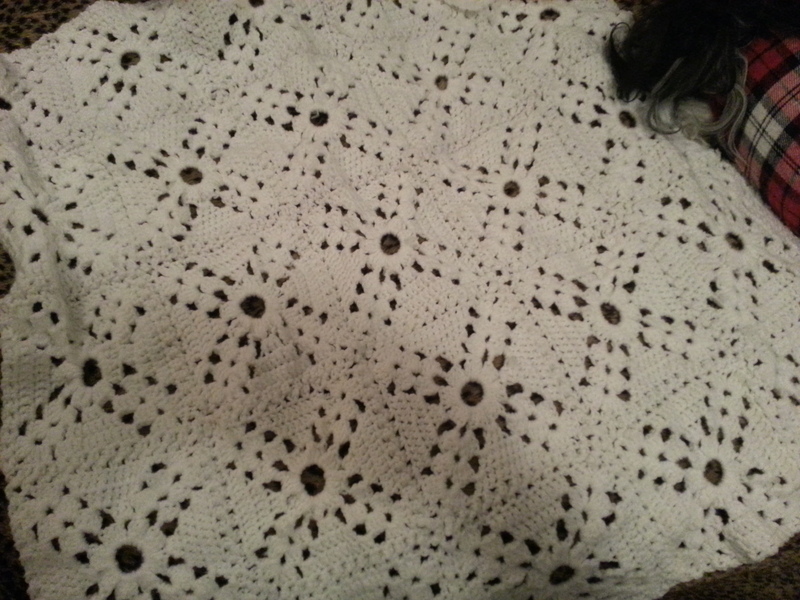 Labor costs* depend on the project size, yarn I use, time it takes, etc. I like those yarns because they are very soft. 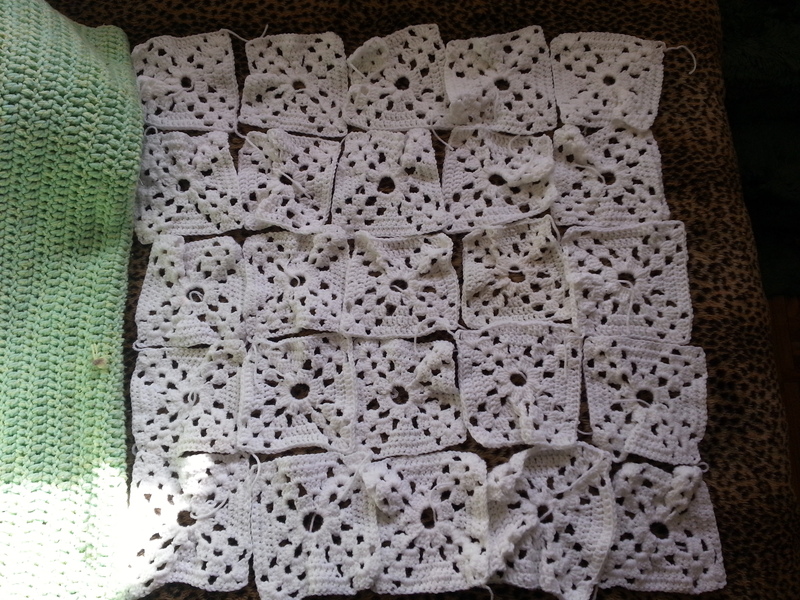 This is just one giant cluster cross granny square in two different colors. 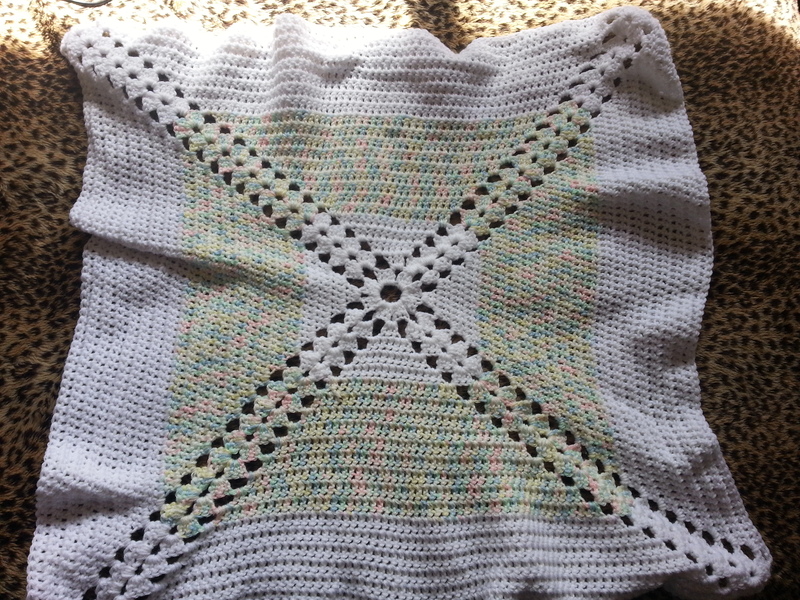 Maybe a 32″ square? 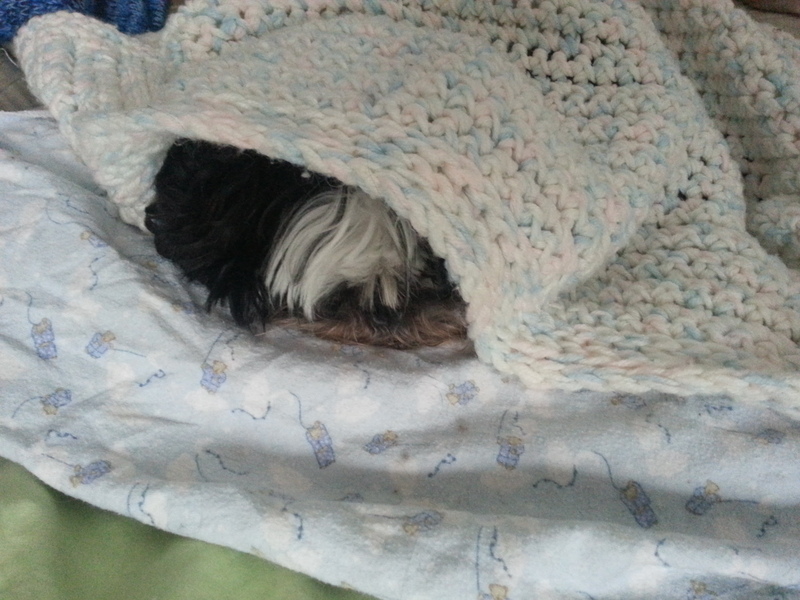 Also dog blanket. 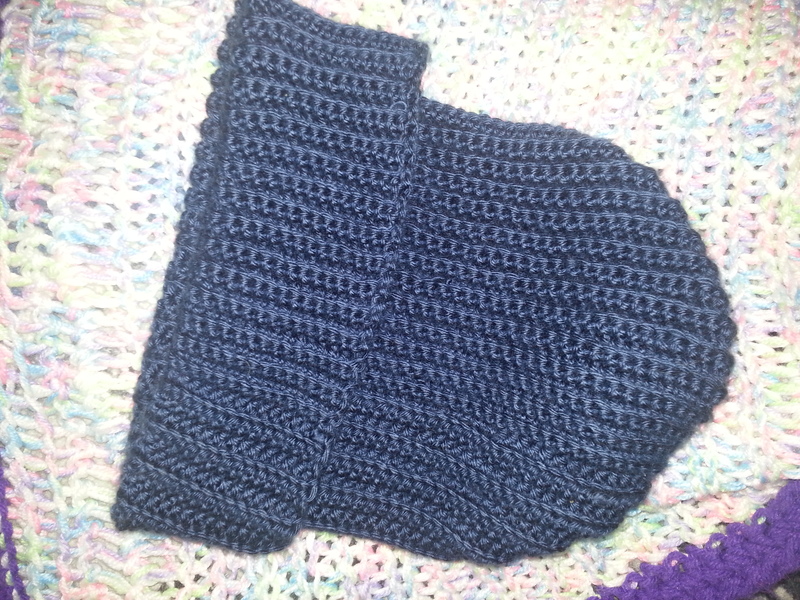 Newest project. Variation on the cluster cross. 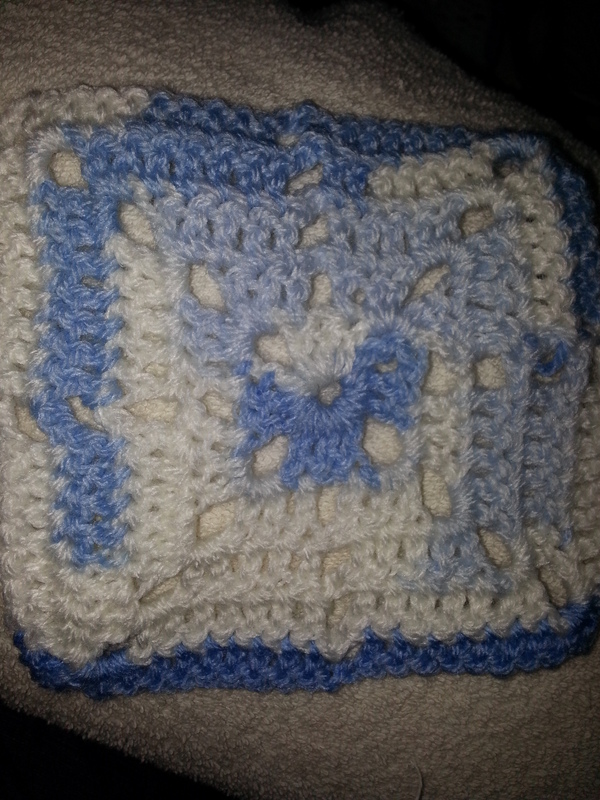 Doing 25 of these, combining, and adding dif color border. Will add more pics when done. 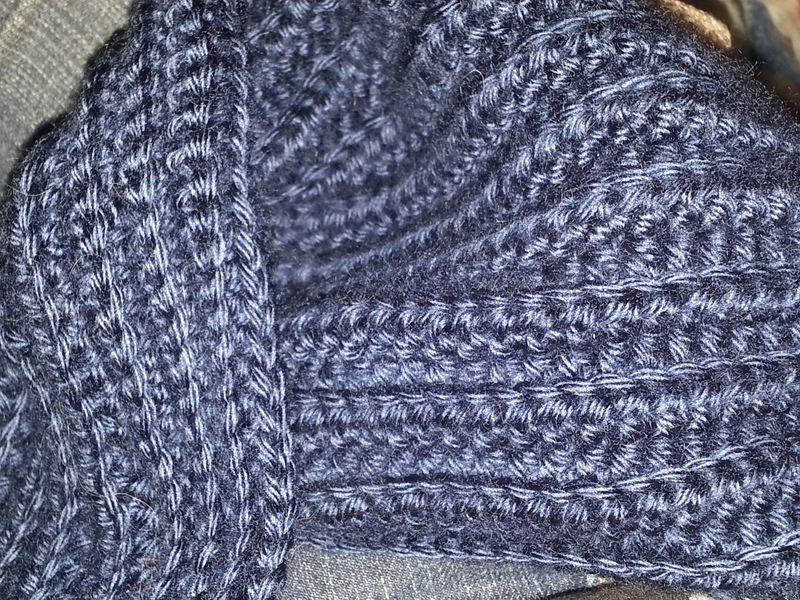 Lion Brand Jamie Yarn blue stripes. 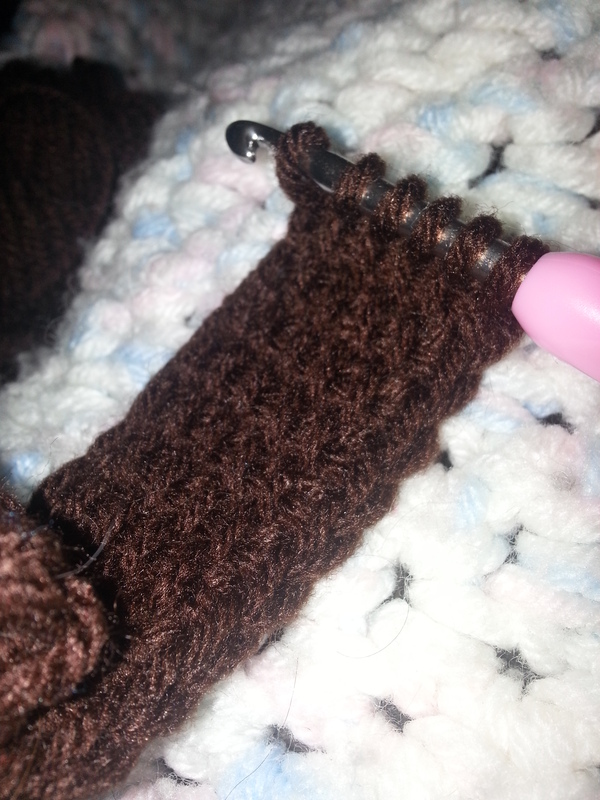 Double thickness of yarn with simple single crochet. 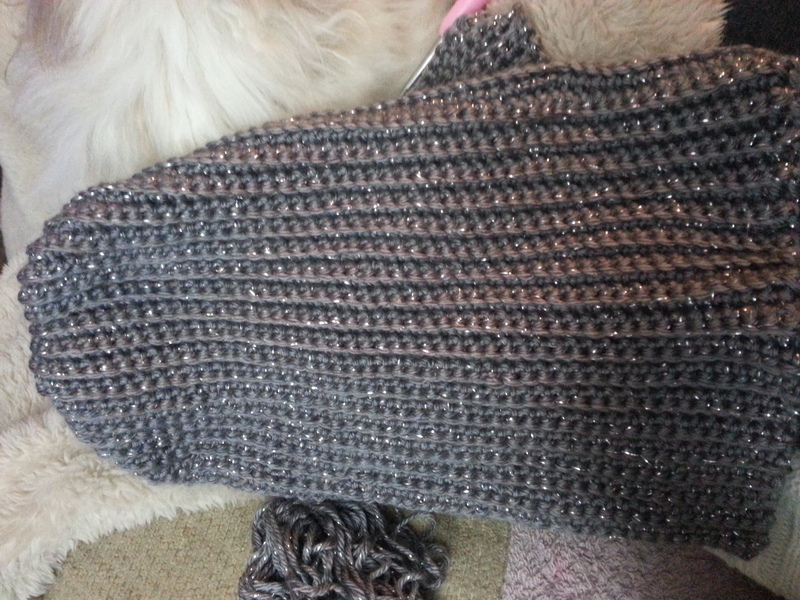 Another dog blanket in Lion Brand Jamie Yarn (Twinkle Stripes). Next Under Empty Stars paperback – coming soon!